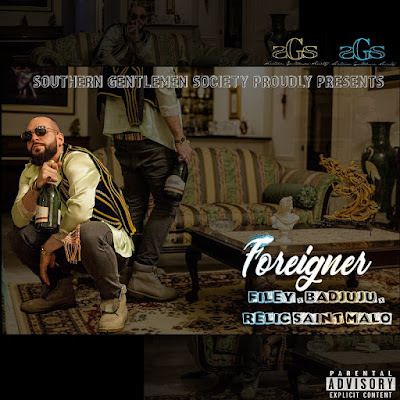 New Orleans-based multi-talented artist Filey Relic has just unveiled a super smooth new single called Foreigner, featuring BADJUJU and Relic Saint Malo. I am in love with this song guys! It's guitar-based melody is highly captivating and laid-back. I am loving how their rhymes flow effortlessly over this infectious beat. It is quite refreshing to hear rap over a guitar-based melody. I've got Foreigner on repeat and you can stream it below! I found the beat while i was in Greece last summer in 2017. The guitar grabbed my attention as soon as i heard the riff, it felt exotic and foreign. Thus "Foreigner" was born. Badjuju and Relic Saint Malo came through after i laid down the hook and my verse, and the rest, as they say, was history.